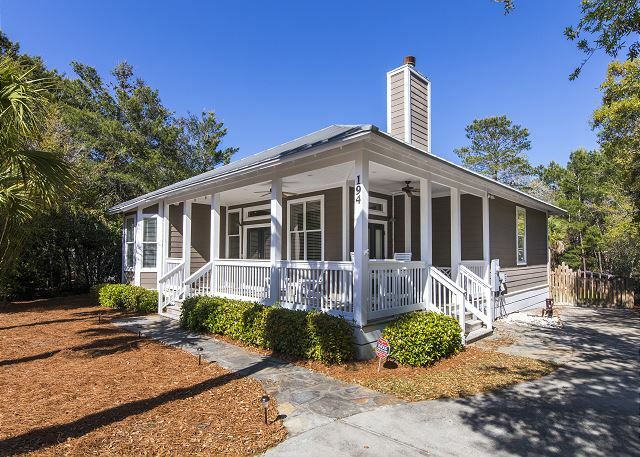 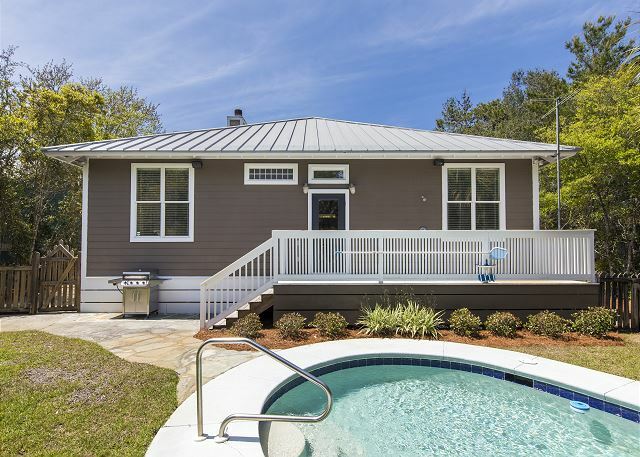 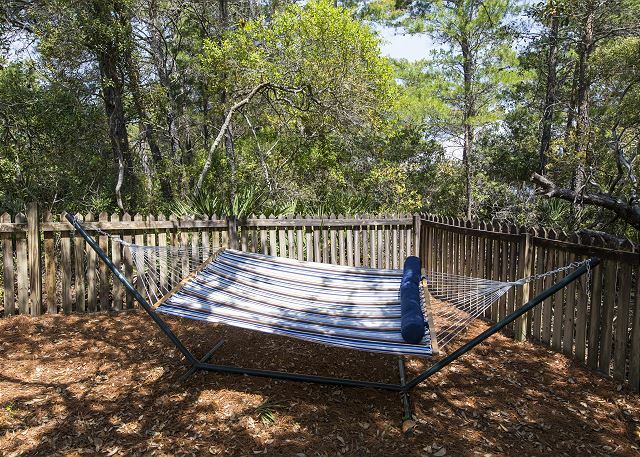 Welcome to ClaroMar, your family's retreat located just off the scenic Hwy 30A. 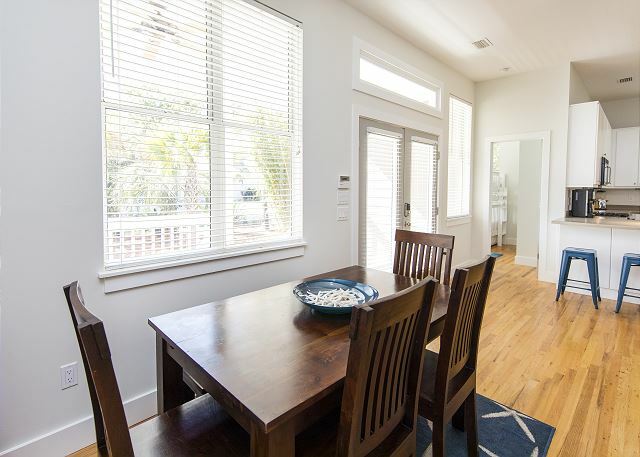 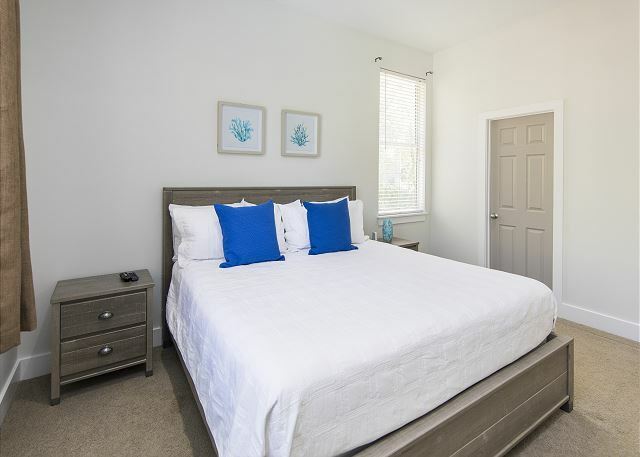 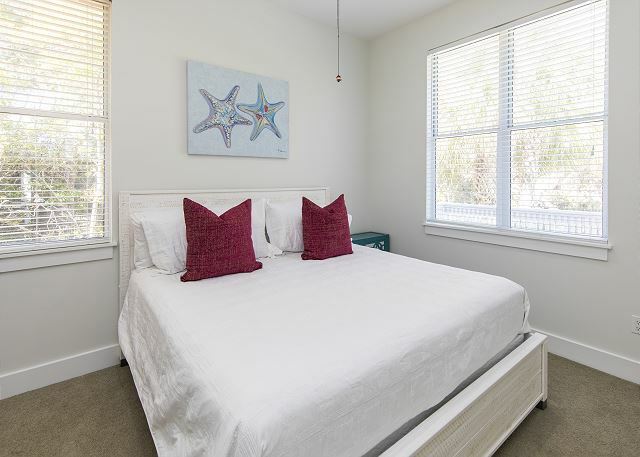 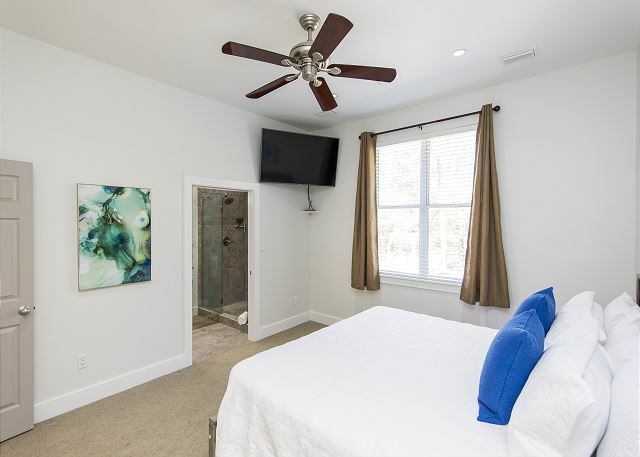 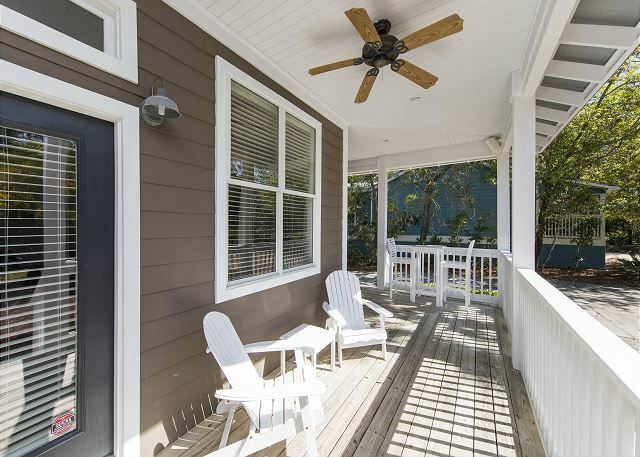 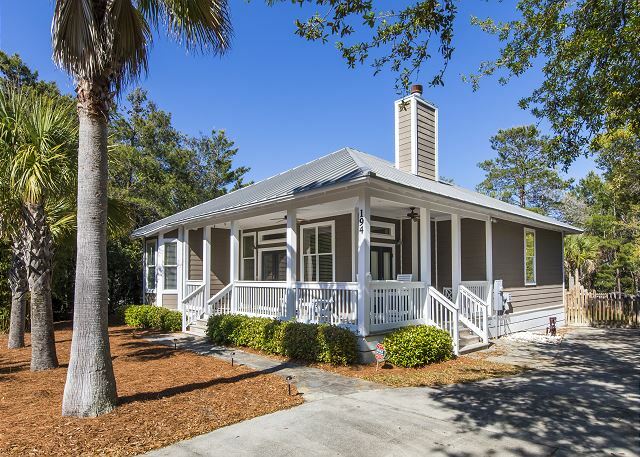 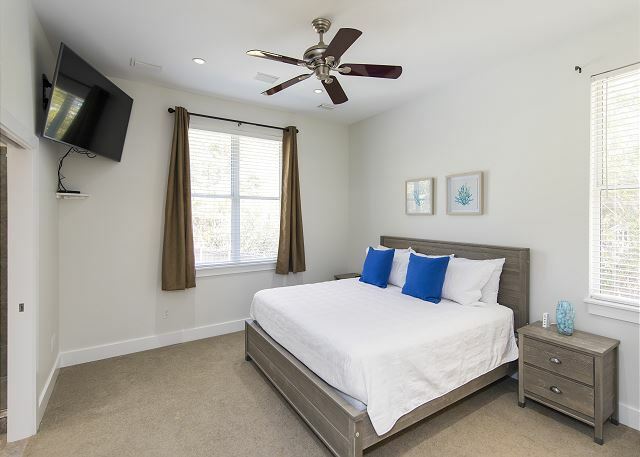 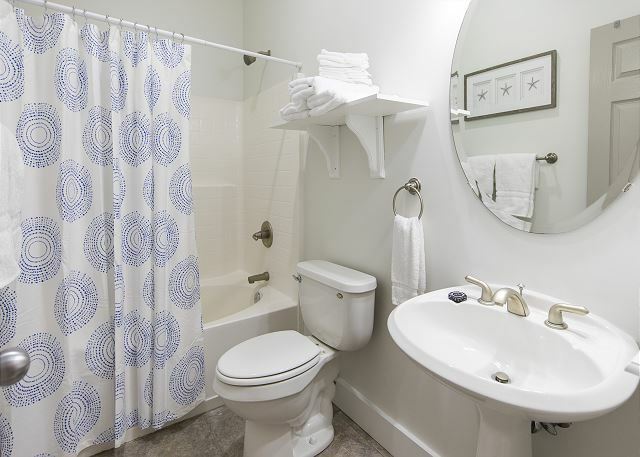 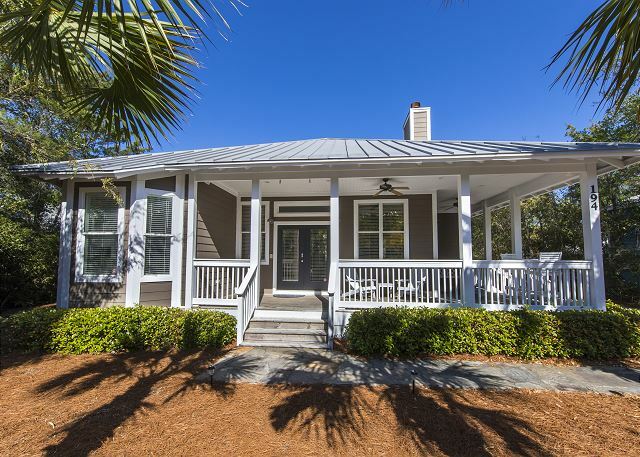 With Coastal Florida charm, ClaroMar is nestled in a beautiful neighborhood surrounded by sego palms and sea pines. 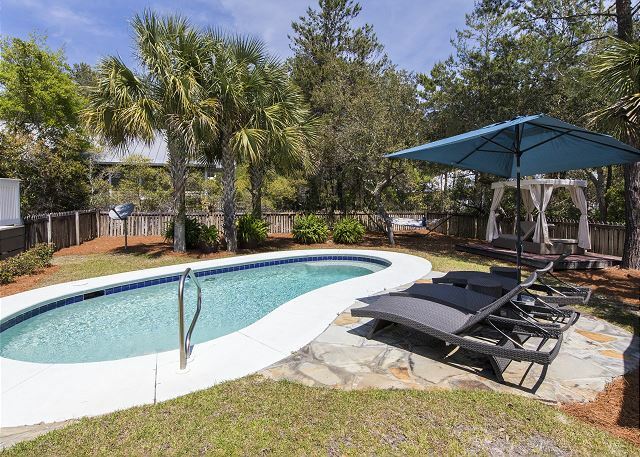 Kick back by the private heated pool and enjoy the respite you desperately need! 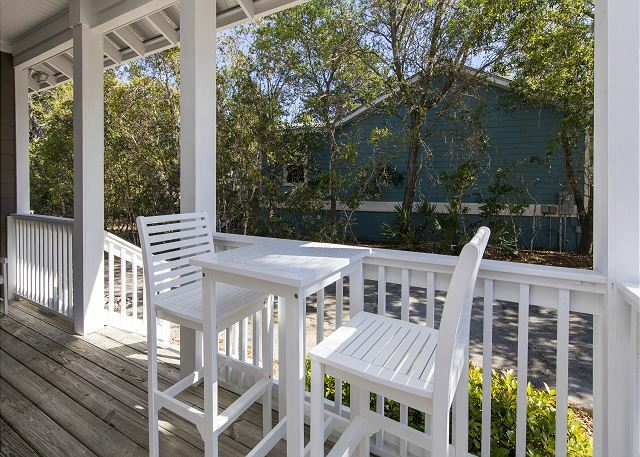 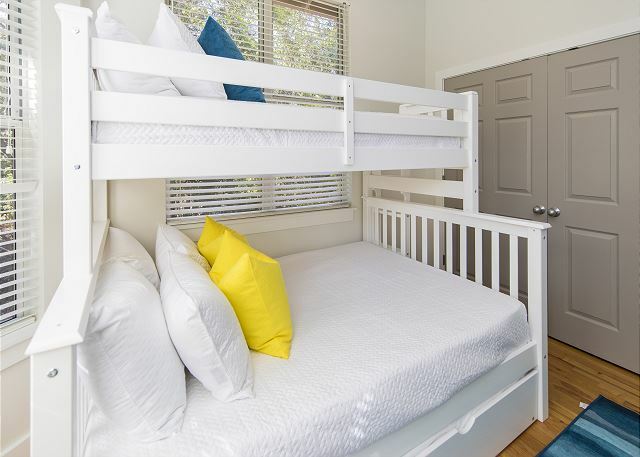 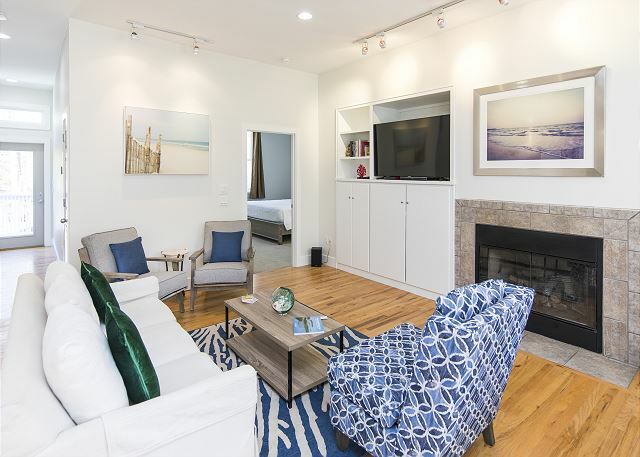 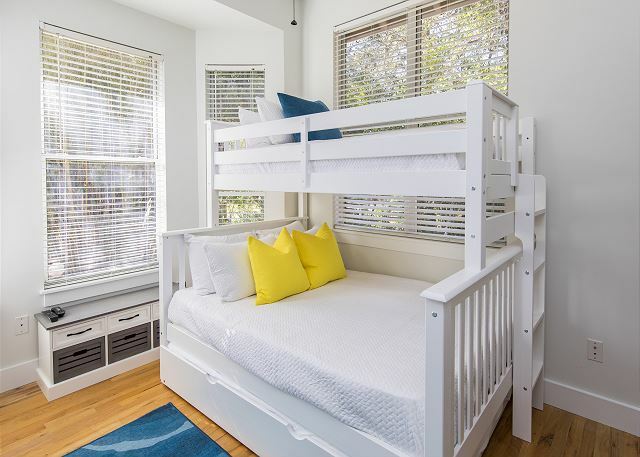 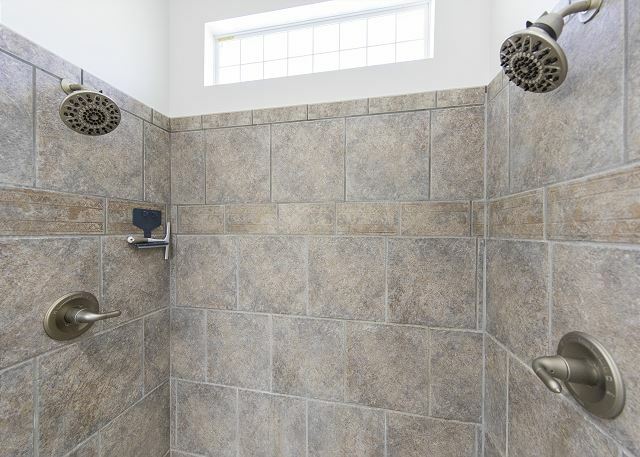 This 3 bedroom, 2 bath has been recently refreshed and comfortably sleeps up to 11 guests. 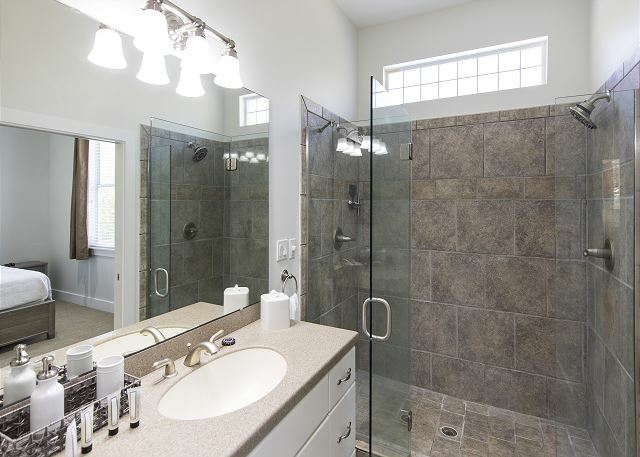 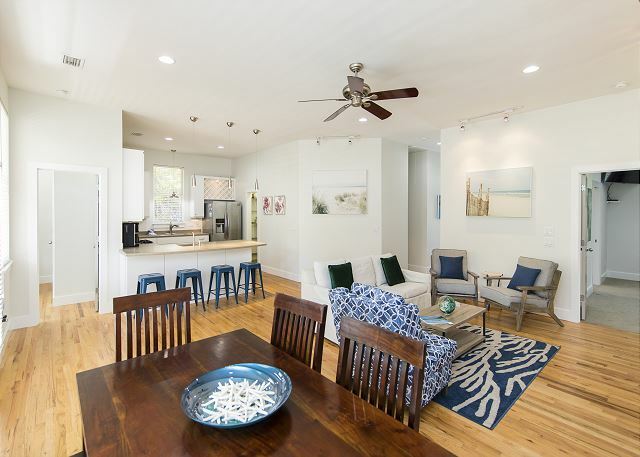 Upon entry, you will be greeted with a beautiful open floor plan. 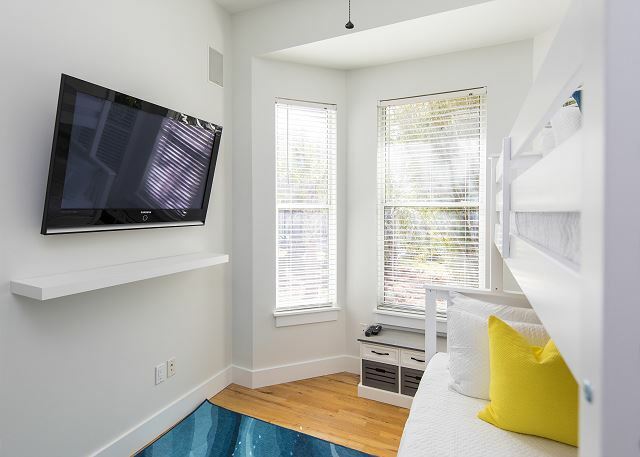 Gorgeous flooring pours throughout the house generating the perfect balance of beauty and warmth for your holiday getaway. 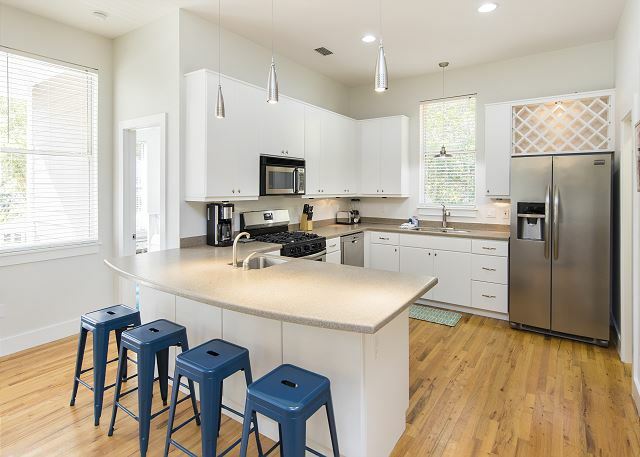 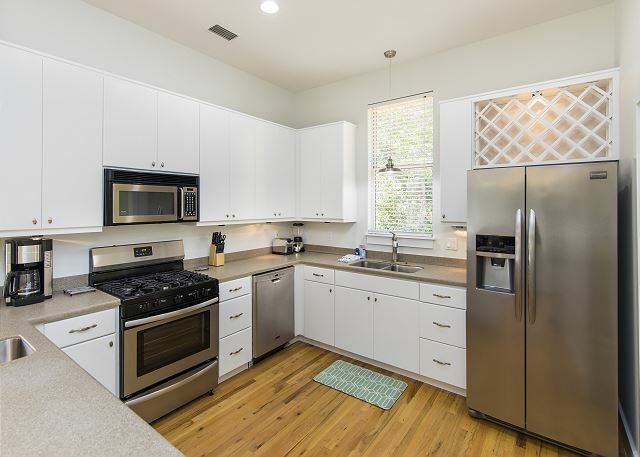 The fully equipped kitchen with a gas cooktop, countertop seating, and stainless steel appliances are a cook's dream. 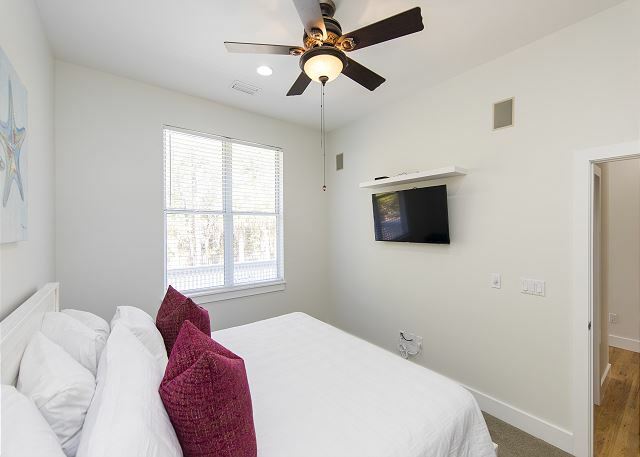 Movie nights and leisurely lounging are a must in the large living area with a 55” flat screen TV, cozy furnishings and whole house audio system. 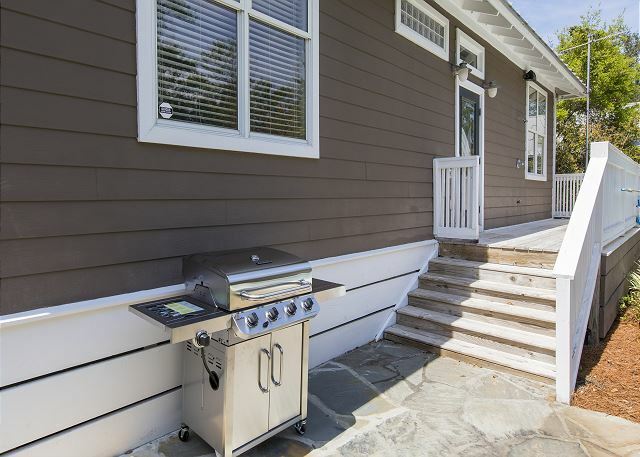 Outdoor amenities include a full-size pool in a spacious, shaded yard with privacy fencing, covered seating on the front porch patio, an outdoor shower, outdoor speakers, ample off street parking for 5 cars, and a large BBQ grill. 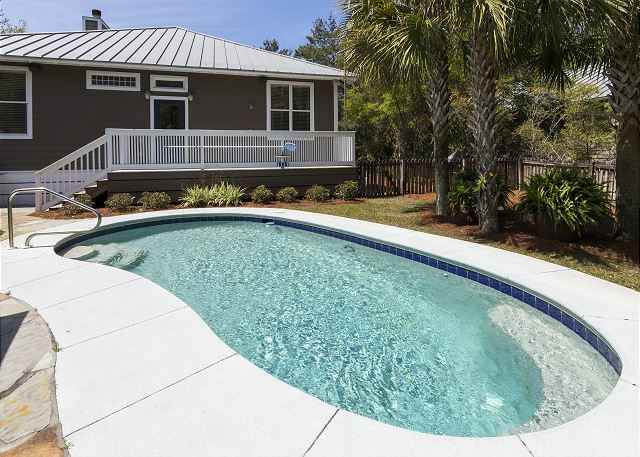 The pool can be heated for an additional fee. 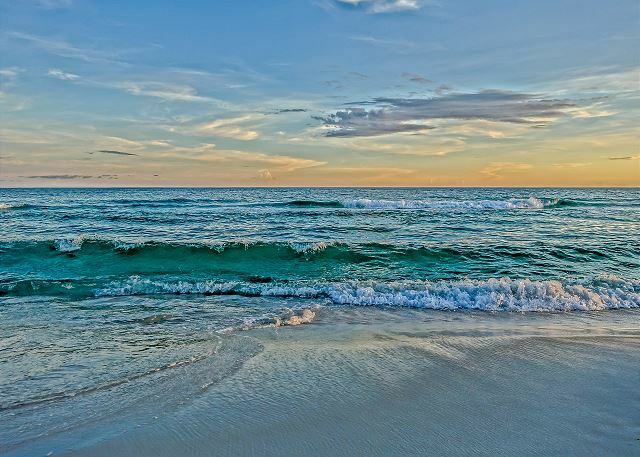 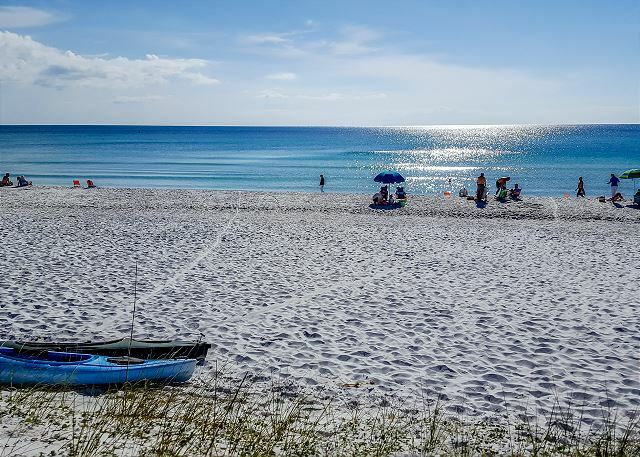 Just a 5 minute stroll will take you to the private beach access at the end of the street, where you will find the sugar white sand and the emerald water of the gulf coast . 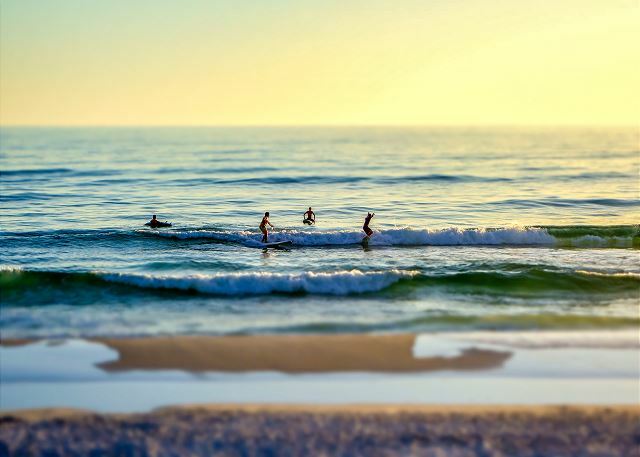 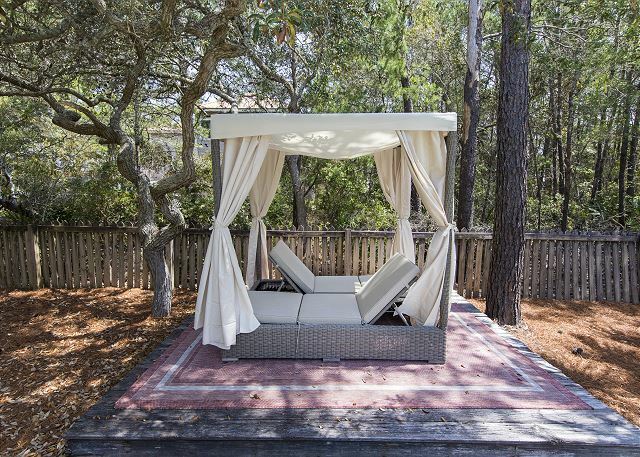 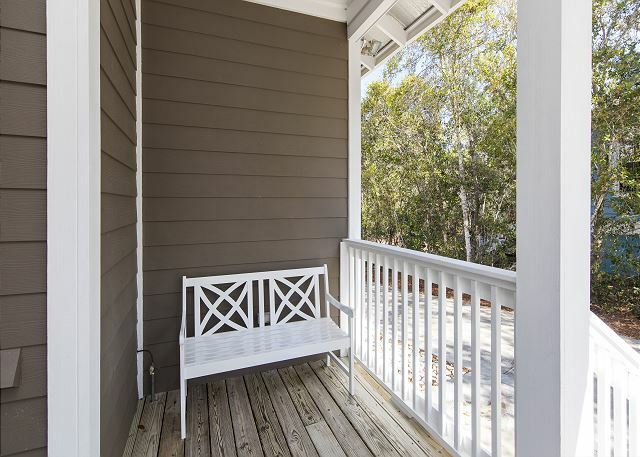 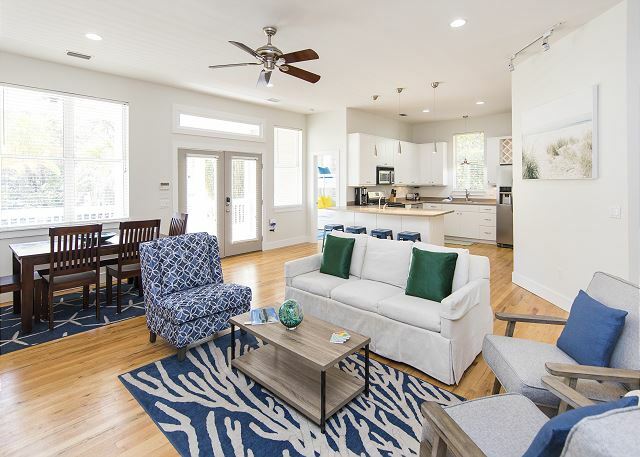 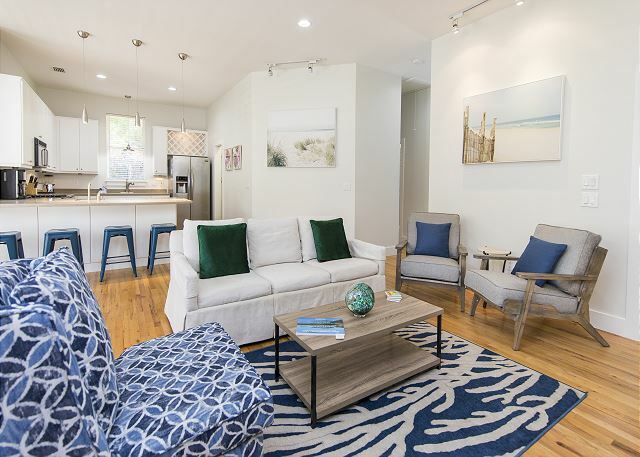 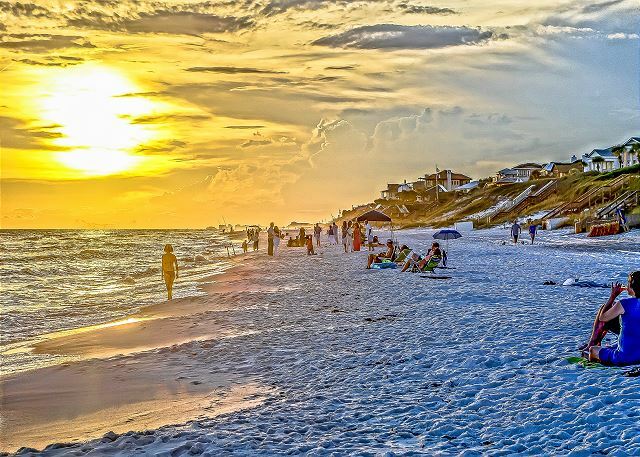 Located less than one mile from the surrounding communities of Alys Beach, Rosemary Beach and Watersound, ClaroMar puts you within a short walk, bike ride, or drive to fun family activities like The Hub, delicious restaurants, desirable boutiques and more! 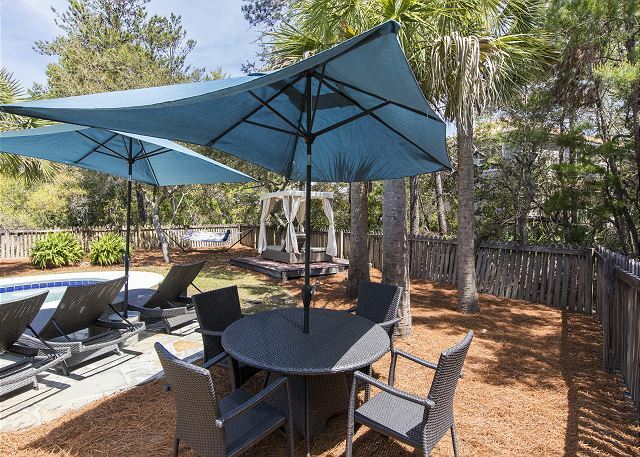 Or if you prefer to spend a quiet evening cooking at home you can do so in the peaceful confines of the surrounding pines with ample outdoor seating!